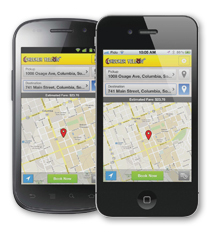 Checker Yellow, it’s also a mobile application for both Android and iPhones! We have launched the first mobile application to call a cab in Columbia. This application is fully integrated to our GPS dispatch system.